There was a young girl called Katherine who loved going on adventures with her boat. To begin with her adventures were quite close to home and her boat was quite slow. Then she discovered hydrofoil sailing and her boat quite literally flew. The little girl is now a bit more grown up, and has learnt lots about sailing along the way. Racing and adventuring all over the world. She has also discovered that kayaks, skis or running trainers and a camera make for great adventure companions. However and wherever she has travelled, her inspiration has remained the same, to share the beauty and fun of playing outdoors and inspire everyone to follow their own adventure. Katherine is a qualified Yachtmaster Ocean, offshore racer and has won speed sailing competitions in her Moth as well as the women's European title. She has sailed in the far north and rounded Cape Horn. Eric's childhood was spent living aboard the family sail boat, his earliest memories being filled with messing around on boats. He started racing dinghies when he was eight and continued all through his childhood and spent four years on the Canadian Olympic sailing team. During this time he was studying meteorology at university, gaining valuable knowledge that allowed him to pursue a career at sea a specialist navigator and weather router. Eric has raced across both the Atlantic and Pacific Oceans as well as in many other prestigious offshore races and is often found lifting a trophy at the finish line. A career highlight was winning the Clipper Round the World Yacht Race. To achieve this, he had to turn a group of 55 individuals, with little or no sailing experience, into a cohesive, high performing team. During the next 12 months and 65,000km, they would confront their fears in some of the most extreme environments on the planet and emerge victorious. Eric is a qualified meteorologist, MCA Master 200gt, Ocean Yachtmaster and a Yachtmaster Instructor, with over 100,000 sea miles. He has been awarded Sail Canada's Rolex Sailor of the Year and is accredited with the Canadian Meteorological and Oceanographic Society. 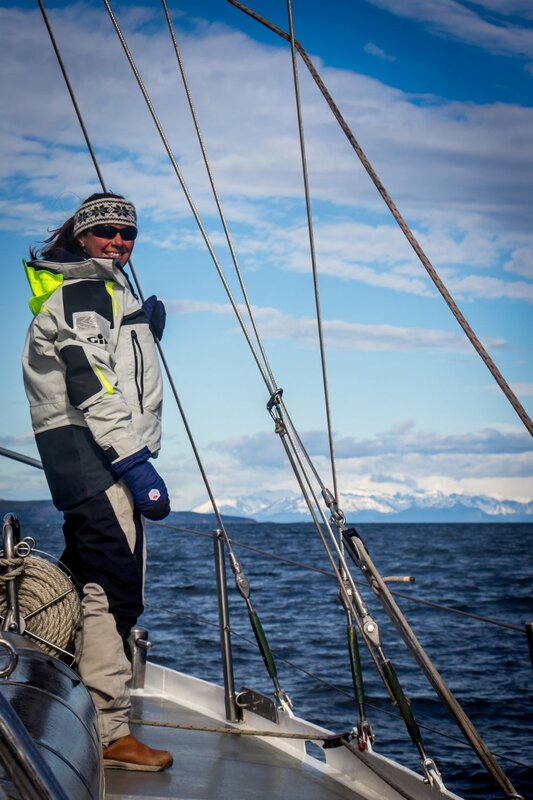 To balance the intensity of ocean racing, Eric enjoys the slower pace of adventure cruising, testing his traditional navigation skills and generally tinkering on boats of all sorts.